Pardon the Punctuation...While strolling through my childhood neighborhood two of my closest friends took me to their new favorite local sushi place "Sakura" On a quiet corner on red road sits this quaint little sushi where "Love" isn't on the menu but it sure comes through in what they do. I'm not used to ever having good sushi in Miami but this place is making strides to change that. 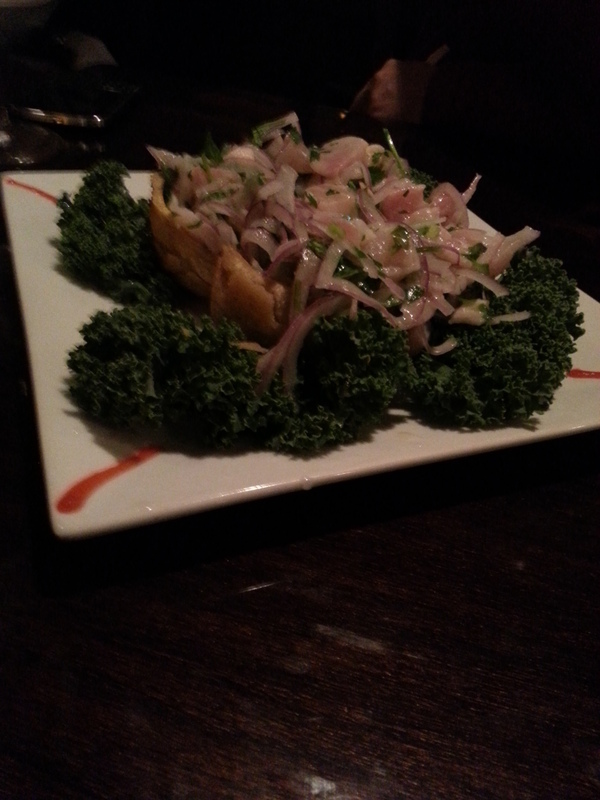 We started with the Tostones/Ceviche which is stuffed friend green plantains with fish ceviche. A nice starter with some creativity and some explosive flavors. The ceviche was hella fresh and had just the right amount of citrus. Next we had some Tuna Tartar with some masago mixed in and garnished with mariquitas. I'm a sucker for Tuna Tartar and the mariquitas were a nice touch. Lastly we threw down the Dynamite Mussels which were ok but not my favorite. If you live in the gables area be sure to check these guys out and help keep a local business going.